We have reserved a block of rooms at Swissotel Merchant Court at the special rate of SGD 235 (single occupancy) and SGD 255 (double occupancy) per night for the nights of Dec 11 to 15, 2010 (inclusive). This rate includes breakfast and in-room broadband internet connection. Extension of the stay at the same rate is subject to room availability. To make a reservation, please complete the reservation form and fax or email it to Swissotel by Nov 12, 2010. A chartered bus will pick you up from Swissotel Merchant Court in the morning and send you back at the end of the day. Santa Grand Hotel West Coast is within 10-15 minutes walk or a short bus ride from the workshop venue. It is less expensive (about SGD 100 to 140 per night). The hotel is of good-quality, and the facilities are new, but the room is small. If you wish to use this hotel, please make a reservation on your own as soon as possible. The hotel is often in high demand because of its proximity to the university. For the purpose of attending conferences, most foreign visitors may be given up to a 30-day social visit pass ("tourist visa") upon their arrival in Singapore. For citizens of some countries (including, in particular, China and India), an entry visa is required. For most up-to-date information on visa requirements, please check the web site of Singapore Immigration & Checkpoints Authority or contact your local Singapore missions. If you need an invitation letter for visa application, please email wafr AT comp.nus.edu.sg. Singapore Changi Airport is well connected with all major airports in Asia, Europe, and North America. From major European cities, there are usually non-stop flights to Singapore. From major US cities, it usually takes one stop, e.g., in Hongkong, Incheon, Tokyo, etc.. 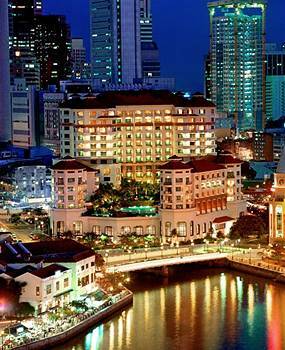 There are, however, non-stop flights from Newark or Los Angeles to Singapore by Singapore Airlines. Singapore Airlines is among the world's best airlines, but tends to be expensive. A high-quality, but much more affordable option is Malaysia Airlines, but it adds one more stop in Kuala Lumpur, Malaysia and about 2 hours to the journey. Changi Airport is normally very efficient. It takes 30 to 45 minutes to exit the airport from the moment that the plane lands. From the airport, it is recommended that you take a taxi to your hotel. It costs 15-25 SGD to go to most hotels in the downtown area, including Swissotel Merchant Court. The MRT (subways) does connect to airport terminals, though it may not be convenient if you have heavy luggage. See below for more information on local transportation.